​ Thank you for taking time to think about and consider what I have to offer towards your health, vigor, happiness and healing. To optimize your success in whatever program(s) you may choose, I strongly recommend that we schedule an appointment once a month at least (more as needed)over a period of at least 10- 12 months. Certified Wellness Physiologist, Nutrition and Energy Consultant, Life Sciences Institute, Austin, /tx. ; Natural Weight Loss Trainer; 1992 Certification with ongoing studies. My education and work in the health field began in 1994 with compulsive over-eaters and weight-loss. Over 25 years experience includes working with happiness, addictions, adult children of dysfunctional homes and their families as personal aide, sponsor, mentor and coach. My strength in the health field is in the specifics of my natural health education which refutes all- too- common misunderstandings in that field, along with experience in motivational and lifestyle issues. I help people find and connect with their inner blocks and strengths in making positive changes of their own choosing for optimum health and happy living. Further qualification includes Certification and practice as Master/ Counselor, Life Coaching; Trainer in Self Hypnosis; Attitudinal Healing Facilitator; Advanced Ho’o’ponopono Coach/ Practitioner; additional life experience with tools of Body- Mind and inner healing. ... Support and additional education for overcoming and preventing ailments. 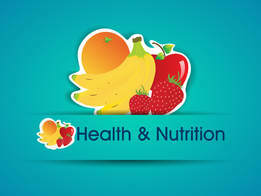 Many health seekers are self- educated, incomplete understanding along with societal or personal factors make them prey to dangerous misconceptions or misleading information regarding health, with sometimes disastrous consequences.